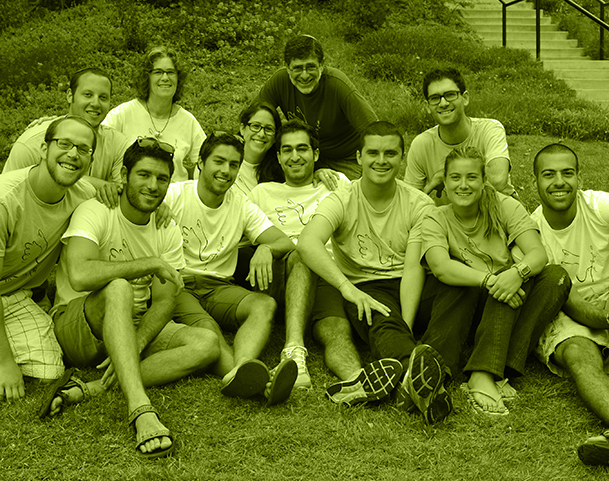 Established by the Gross Schaefer Family, the Avi Schaefer Fund is a dynamic collaboration between the family, a professional staff, various consultants and strategic partners such Brown RISD Hillel, which hosts and offers on-site supervision of an ASF student intern. As the Executive Director of the Avi Schaefer Fund (ASF), Jill brings her passion for creating the space for civil, nuanced communication and dialogue among those holding diverse opinions related to some of today’s most controversial topics. Jill comes to us with a rich background in the world of nonprofits and the Jewish community – from designing and implementing programs to strategic planning and philanthropy. Her skills and experience will guide ASF as it begins to evaluate where it has been and dream about what’s next. Jill holds a Masters in Planning and a Masters in Public Administration, both from the University of Southern California and received her BA in Sociology from UC San Diego. 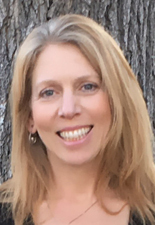 While Jill resides in Los Angeles with her husband and two kids, part of her heart and soul lives in Jerusalem. 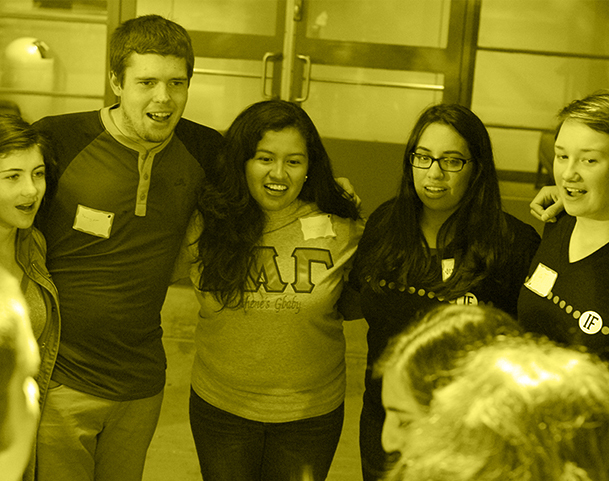 As this year’s Avi Schaefer Fund Intern, Ilana Brandes-Krug, is excited to be collaborating with campuses across the nation to promote Avi’s vision through the annual Avi Shabbat. 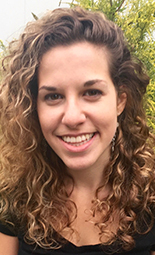 Ilana, a student at Brown University, has been active in interfaith work since she attended Gann Academy, the New Jewish High School of Greater Boston. She is currently the learning chair and co-leader of the Brown/RISD Hillel Initiative on Refugees (HIR) and is co-founder/co-director of BRIJ (Building Relationships: Islam & Judaism), a Brown-based program that brings together Muslim and Jewish fifth graders for text study and service work. She loves art and creative writing, traveling and spending time in nature. Elan Ezrachi was born and Raised in Jerusalem’s Rehavia neighborhood where he also currently resides. After six years in the Israeli Air Force as a helicopter pilot Elan went on to pursue a career in Jewish education. 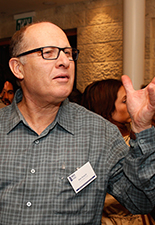 He served in various executive roles including: director of the International Dept of Melitz – Center for Jewish Zionist education, Director of the Charles Bronfman Mifgashim Center, Executive Director of Masa – Israel Journey and director of the International School for Jerusalem Studies at Yad Ben-Zvi. Elan received his BA and MA from Hebrew University in Education and Jewish Thought and his doctorate from the Jewish Theological Seminary in New York. His dissertation topic was: “The Dynamics of interaction between American Jews and Israelis”. Elan is a visiting lecturer at the Hadassah Academic College in Jerusalem and a Fellow at the Center for Jewish Peoplehood Education. Active in several volunteer initiatives, Elan is a community activist in Jerusalem, and the chair of Ginot Ha’eer community council. He is a player in the Israeli Jewish Renaissance scene, and was the founding chair of Panim – the Coalition for Jewish Renaissance in Israel. Elan is married to Rabbi Naamah Kelman, a father of three, and grandfather to one baby boy. The Board of Directors for the Avi Schaefer Fund is comprised of family members and community leaders, each of whom had a personal relationship with Avi. Each individual brings his or her own experience and expertise as a community leader. We are deeply grateful to our board members, whose efforts are critical to the success of our work. Their insights, creative ideas, and wisdom contribute to our work in manifold ways, in addition to their fiduciary role. Our work would not be possible without their support for our family’s efforts to honor Avi’s memory. Peter Melnick is a composer, songwriter and author. 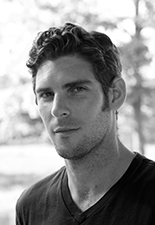 He was Drama Desk-nominated for his score for Adrift in Macao (book & lyrics by Christopher Durang). Melnick wrote the Off-Broadway musical The Last Smoker in America with librettist Bill Russell, and composed the scores to Twyla Tharp’s Sextet, The Umbrella Oracle (book by Tony Kushner), and Patter for the Floating Lady, adapted from Steve Martin’s eponymous one-act play. Melnick also contributed songs and scores to over 30 films, television shows and documentaries, including L.A. Story, The Only Thrill, Convicts, Tak for Alt (about Holocaust survivor Judy Meisel) and the feature-length documentary, Cinema’s Exiles: From Hitler to Hollywood. Melnick grew up in New York City, the product of an extraordinary entertainment family. His father was film producer Daniel Melnick (All That Jazz, Straw Dogs, Altered States, Footloose, and the seminal television comedy Get Smart!). His grandfather was legendary theater composer Richard Rodgers. Melnick attended Harvard College, Berklee College of Music, and London’s Guildhall School of Music and Drama, and studied privately with jazz piano legend Jaki Byard. 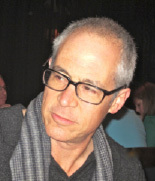 Melnick has lived in Montecito, California since the early 1990s. Raised in New York City in the bagels-and-lox secular Jewish tradition, he became an adult bar mitzvah in his thirties, and subsequently had the joy of teaching his own son how to chant Torah. He has served on the boards of the Santa Barbara/Tri-Counties ADL, Santa Barbara Hillel and Jewish Federation of Greater Santa Barbara, and chaired the Jewish Community Relations Committee. 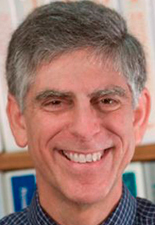 In 2006 he co-founded the Israel Committee of Santa Barbara, a group that fosters support for Israel through nuanced educational programs rather than propaganda. Melnick presently serves as president and musical director of the Community Shul of Montecito and Santa Barbara. 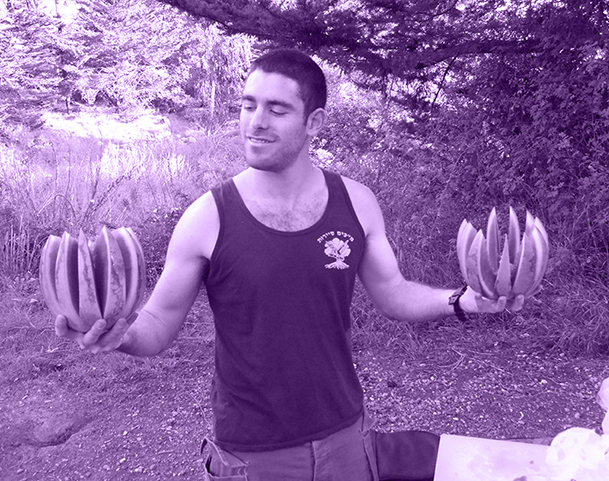 Danny Fleisher wants to live in a world where healthy fast-food in an option, people ride their bikes to work, great ideas become realities and the human experience is free from poverty, hunger and the fear of violence (ambitious, right?). As an educator and program manager with more than 10 years of experience, he’s worked for Jewish Federation, the Jewish Community Relations Council, Steve & Kate’s, Camp Ramah, Alexander Muss (and more) providing transformational experiences and quality programs for kids and adults alike. Danny received his MA from the Jewish Theological Seminary and BA from the University of California Santa Barbara. When he’s not writing, teaching or consulting other nonprofits through strategic initiatives, you can find him scaling the walls at the rock climbing gym, hiking up the tallest peaks in North America or training for some adventure-run or half-marathon. 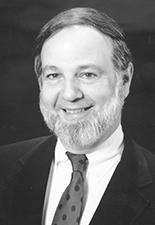 Rabbi Richard N. Levy is the Rabbi Emeritus of the Synagogue at the Jack H. Skirball Campus of the Hebrew Union College, Los Angeles. For ten years he was the director of its Rabbinical School, and before that was the Regional Director of Hillel in Greater Los Angeles and the Director of UCLA Hillel. He is a former President of the Central Conference of American Rabbis, during which he time he shepherded passage of the Statement of Principles of Reform Judaism (the Pittsburgh Principles). He is the author of A Vision of Holiness: The Future of Reform Judaism, editor and chief writer for On Wings of Awe, a High Holyday Machzor; On Wings of Freedom, a Passover Haggadah; and On Wings of Light, a Shabbat evening Siddur. He is the author of the forthcoming Songs Ascending, a new translation of the Book of Psalms with text and spiritual commentary, to be published by the CCAR Press in 2016. He was married to the late Carol Levy, is the father of Sarah Levy and Elizabeth Levy, and grandfather of Elijah Kalista. Deborah Naish is President of Naish Partners – Next Level Business Consulting. She brings over 30 years of experience to her work as a strategy and goal architect, change instigator, and results accelerator. Through consulting, coaching, retreats, and online courses, she supports executives in their journey to be more inspired, courageous, conscious leaders so they can make a greater difference in their organization and in the world. Most recently she spent 8 years as the Executive Director of Congregation B’nai B’rith, a Reform synagogue in Santa Barbara, CA. Deborah was instrumental in the growth of the congregation from a fractured community of 450 families to a dynamic, thriving community of over 800 families. She was responsible for strategy, financial management, development, membership, programming, communications, facilities, HR, and general administration. Before joining the staff she was President of the Board. Prior to CBB, Deborah started Naish Partners, consulting with companies to generate extraordinary results. Clients were start-ups to the Fortune 500, as well as nonprofits, including Happy Family Brands, Charles Schwab, The Wall Street Journal, Avery Dennison, ConocoPhillips, and The Foundation for Santa Barbara City College. Previously, Deborah was the CEO of The Flavia Group, a licensing and publishing company; EVP of Marketing at a start-up children’s toy company; and held marketing positions in Walt Disney Consumer Products and The Clorox Company. 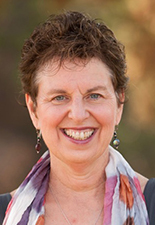 She is an active volunteer and is currently on the Board of Trustees for the Union for Reform Judaism, The ADL-Santa Barbara Region, The Avi Schaefer Fund, and The Tomchin Family Charitable Foundation. She has an MBA from The Kellogg School at Northwestern University. She lives in Santa Barbara with her husband, Dr. Howard Babus, and their teenage son, Isaac. Rabbi Ilana Schachter is the Director of Community Building at Temple Shaaray Tefila in New York. Ilana was ordained as a rabbi by the Hebrew Union College-Jewish Institute of Religion, where she also received an MA in Hebrew Letters. She received her AB With Honors in Comparative Literature and Judaic Studies from Brown University. A native New Yorker, Ilana is thrilled to be home. For the past seven years, Ilana has worked at Hillels across the country, first as the Rabbi and Director of Jewish Student Life at Loyola Marymount University in Los Angeles, where she built and sustained a thriving Jewish community on a Jesuit campus, and most recently at Penn Hillel as Senior Jewish Educator and Campus Rabbi. As a community builder, Ilana enjoys listening to people’s stories, developing deep relationships with both those within the community as well as with potential community partners. In addition, her diverse campus work has deepened her own passion for interfaith cooperation and underscored for her the value of cross-cultural exchange. In her rabbinate, she encourages multiple access points to Jewish engagement and the pursuit of a justice rooted in faith through Jewish texts, values, and rituals. 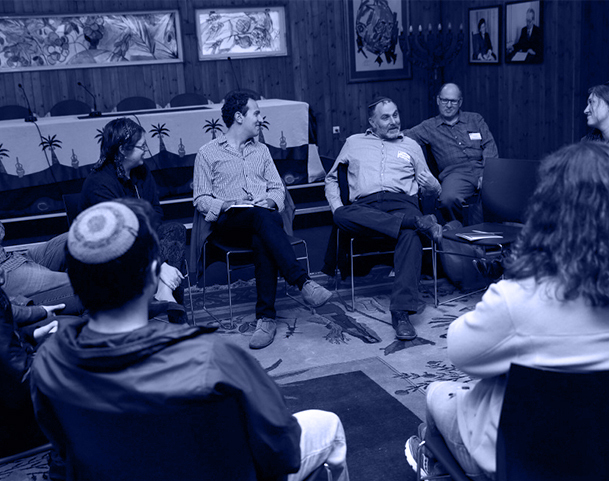 Recognizing that each individual has a Jewish story that informs one’s Jewish journey, Ilana is humbled to hold these stories and serve as a guide in the next phase of a person’s Jewish life. 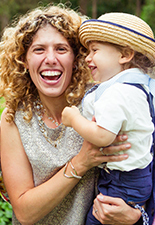 Ilana lives with her husband, John, and their two children, Jacob and Aviva. 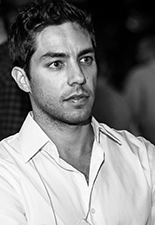 Brian Schaefer is a New York-based journalist and writer, contributing to The New York Times, Haaretz Newspaper and Out Magazine, among other publications. He was a 2010-2011 Dorot Fellow in Israel and received a masters in literature and creative writing at Bar Ilan University in Tel Aviv. Jim Schaefer, CPA, MBA is managing partner of Mark Schaefer Associates, a CPA firm specializing in early-stage technology and fast growth companies. He advises businesses on financial issues including business plans, financial projections, business valuations, mergers and acquisitions, and management information systems. Jim’s special emphasis is in business strategies for increasing revenue, controlling costs and managing financial matters. Jim is the immediate past president of Jewish Federation of San Gabriel and Pomona Valleys and continues as a member of its Board of Governors. He was also past president of David P. Goldman B’nai B’rith and served on the Board of Pasadena Jewish Temple and Center. His involvement with the business community includes: 1) Founding member and past secretary of the Pasadena Angels, a regional angel investment organization, 2) Advisory Board Member for the Business Technology Center and currently chair of its Mentoring Committee and 3) Co-founder and co-chair for Los Angeles County Technology Week. His political involvement includes past campaign treasurer for Assemblyman and State Senator Bob Margett. Jim has a BA in Economics from UCLA and an MBA from USC. He has taught the entrepreneurship course at Cal State Long Beach and accounting and finance classes at the University of La Verne.